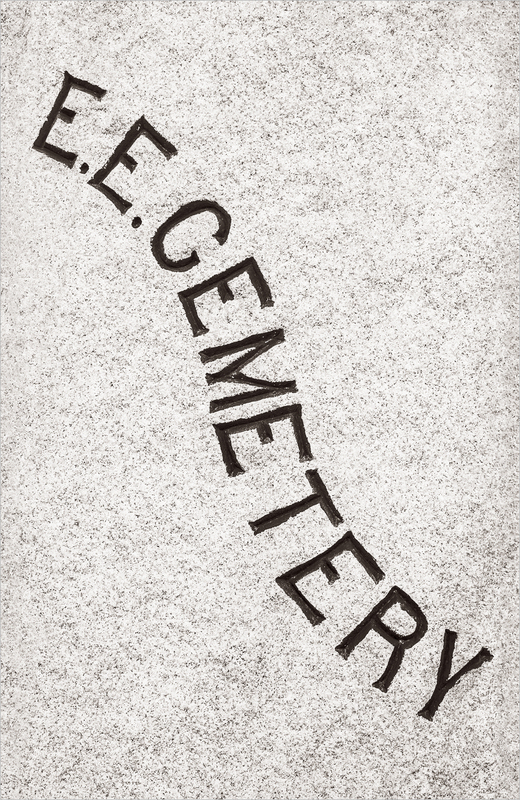 Recently, I discussed my evolving cemetery project and the types of images I was making. This particular photograph falls into the 'Mausoleum Architectural Details' type. It would also fit in well with my 'Geometry' series. I am strongly drawn to repeating and interesting patterns and like to photograph them isolated and 'out of context' from what they are part of. As I make more cemetery photographs and potentially see this series evolving into a project, I feel like I must ask myself what the project is really about. What am I trying to say? What am I looking for in the images? What is motivating me to make these photos? What would I like to make photos of but have not yet found a way to do so? Sometimes getting a project started involves far more questions than answers. But I think that is potentially a good sign! So here are some of the answers I have come up with so far, knowing that not all the questions have been asked and that not all the answers are complete. A few weeks ago was just going and shooting at a new place and I would not have even thought of any of the questions nor started to formulate any answers. The fact that I am thinking about these issues is what has clarified to me that this is likely a 'project in the making'. What is this project about and what am I trying to say? It seems to me that there are several themes underlying this potential project. First, I know what it is not about. It is not about cemeteries being scary, haunted, or creepy. It is not even about them being spiritual. I am not interested in ghosts or in creating backdrop scenes for horror movies. Most of all, it is a celebration of life. It is about that we can be remembered by someone long after we are gone. It is about my bringing back memories of people who may have been long forgotten. There is no way around the fact that it has to be a little bit about dealing with the fear of death as an inevitability. It is about the fact that ultimately nature reclaims everything. It is about things that are likely dwelling in my subconscious that I don't even realize yet. What am I looking for in the images? What would I like to make photos of but have not yet been able to do so? This one is easy. I have no images yet that include human interaction. That is hard for me because I am not one to ask people I don't know if I may take their photograph (though it doesn't necessarily require that). The cemetery is a place where people come to visit their relatives and friends. But it is also a pretty place where people go to walk, run, ride their bikes etc....at least the one I photograph in is that sort of place. I would like to have some images where people are seen doing all those things in addition to grieving or remembering. I would also like to have some images that depict wildlife such as deer and birds among the graves. We will see how it all transpires and what the project turns into. This is another in my series of local cemetery images. It is not too different from another image I posted from the same location. This one, however, seems to make a 'stronger' statement to me. The apparent slow engulfment of the stone seems to say that no matter what man may do, nature ultimately reclaims all. As I have posted before, I have recently started to make photographs in some nearby cemeteries. There are all sorts of interesting images, textures, shapes, and stories to be found. I am intrigued by the mausoleums and last posted an image of one of the mausoleum doors. Here, a design engraved into the concrete of the chamber is what drew my attention. I live not too far away from two local historic cemeteries and a short car ride from a third. Though I have always found them to be interesting, I always hesitated to make photographs walking through them. I guess it always made me a bit uncomfortable because I wasn't sure if it was disrespectful in any way. Then a friend of mine (you know who you are) explained some things to me that convinced me that it really was OK as long as the photos were respectful.....maybe even a positive for those that have passed by bringing their existence to light again. And so I gingerly started taking some photos. Making photos in these cemeteries is something I would like to explore further. Below is the name of the East End Cemetery carved into a concrete entry. Will the person who rests here ever be remembered? It seems like there are images to be made, that while somewhat limited in scope, have the potential to be fairly emotional. It is something I plan to explore and see what I can come up with.